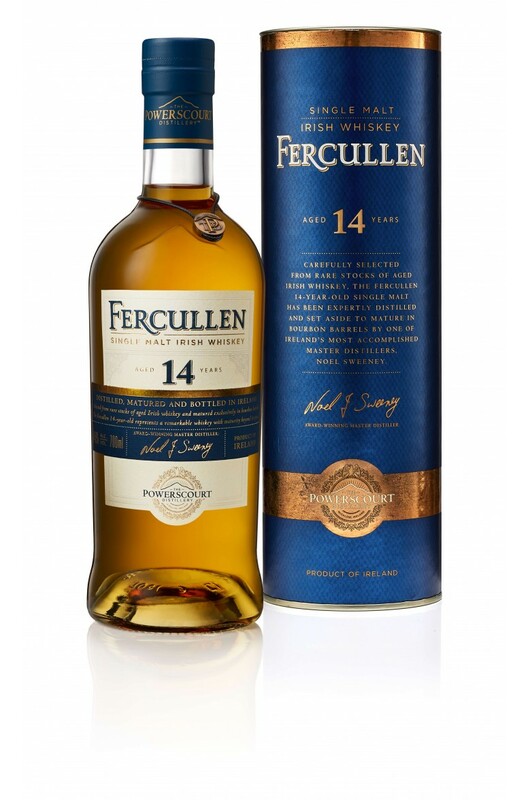 Matured exclusively in ex-Bourbon barrels by Master Distiller Noel Sweeney, the Fercullen 14 Year Old Single Malt has notes of almonds and plums with a slight cinnamon spice. Aromas (without water) Honey, vanilla, sweet malty, spice, almonds, cinnamon, rich plums, clean and fresh. Palate (without water) A refreshingly smooth and complex nectar deliver layer upon layer of smooth, silky sweet malt with crisp oak. Spicy, fruity, nutty, complex and tasty.